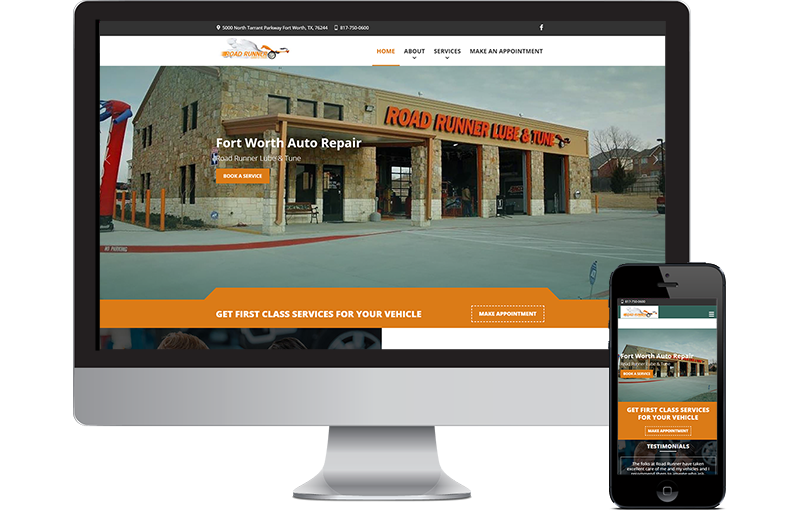 This great auto repair website design is up for an award for best auto repair website. This website was built over a single weekend for a client that needed a website to replace a hacked site. Our team put in the overtime and got the website built on time and on budget. We took most of the content from the Web Archive of the previous website and used some fresh content where needed. This website is built in WordPress using our time tested process. It was drawn in Photoshop based on a previous website design we had built on this clients other stores. We then sliced it into HTML and integrated it to WordPress. The site in integrated to ShopBoss POS system for real time customer appointment bookings.